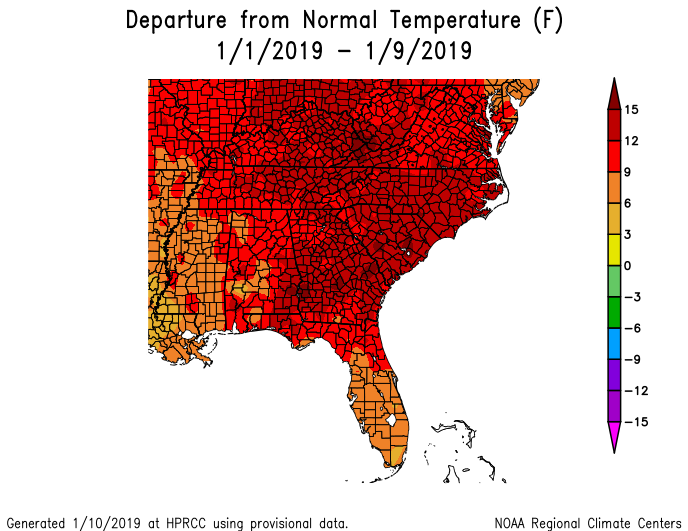 So far January 2019 has been much warmer than normal across the Southeast but especially in areas north of Florida. 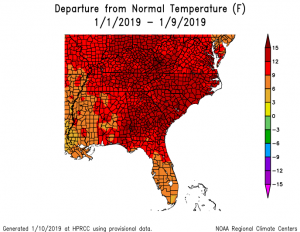 Temperatures are as much as 12 degrees above normal so far for the first ten days of the year. 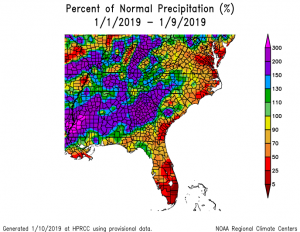 Precipitation has been feast or famine, with some areas receiving much higher than normal amounts of rain and others less than 25% of what they usually expect. 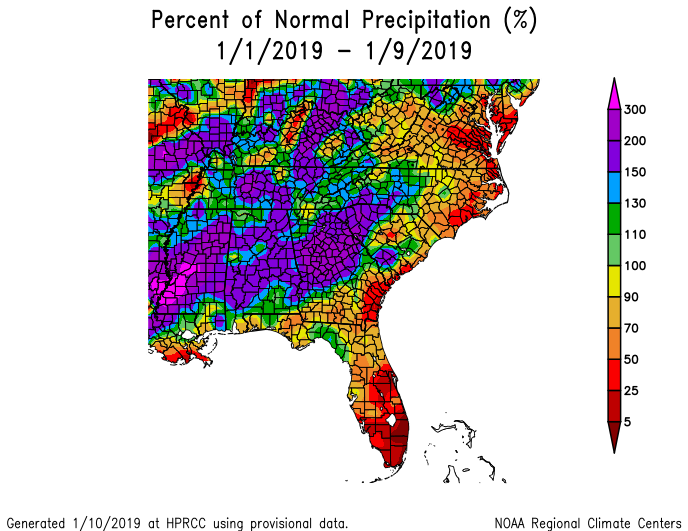 Fortunately for those who like colder temperatures, indications are that the second half of the month is likely to be quite a bit colder than what we have seen so far, although it may still be fairly wet in some locations. Posted in Climate outlooks, Climate summaries. Bookmark the permalink.